After numerous legal battles, months and months in the recording and rehearsal studio, the U.S. consumer is blessed with another chapter in the history of the “greatest band in the world” (or at least that’s what vocalist Pelle Almquist would like you to think so). Most remember the band’s previous full length, Veni Vidi Vicious, gained worldwide notoriety with their hit ”Hate To Say I Told You So,” which inevitably threw them in to the same league as The Strokes and The White Stripes; The Hives handled the limelight accordingly by doing what they had always done. 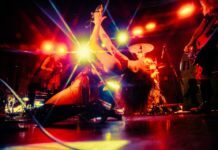 Their live shows were fused with a sense of fun and electricity, and at the same time they showed you that you did not need to stand completely still in order to play rock music. Then the roadblock hit; legal issues between Epic and Epitaph for the next record put The Hives out of commission for quite some time and one would expect this absence would hinder their reintroduction to the music world. Yet as most know by now, the reintroduction process was not difficult- most people were starved for new Hives material. Can one really expect a dramatically different approach to the simple punk rock, garage approach they had used before? Doubtful. Can one expect a rowdy walk that will leave your head shaking and your yearn to dance growing? Yes and how so. While some early reviews I read blasted The Hives for resting on their laurels and not creating something newer than what they were doing before- I applaud it. 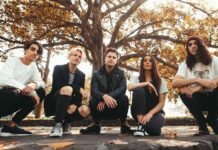 In an age of musical progression, many bands are constantly trying to reinvent themselves; and if they do in fact break, their second record is often a complete flop as they try to forge a path towards unfamiliar territory. The Hives opt out of such thinking and show the listener that familiarity can still be fun. 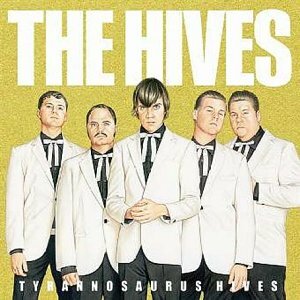 Tyrannosaurus Hives is not a mind blowing effort, but kudos to The Hives for making rock music fun to listen to. 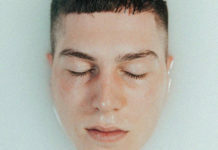 The album does not exactly reinvent the wheel; but do we always need constant reinvention? In my estimation, a resounding ‘NO’ appears in my head.